The more I see of the new combining Lions the more tempted I am to buy the set. 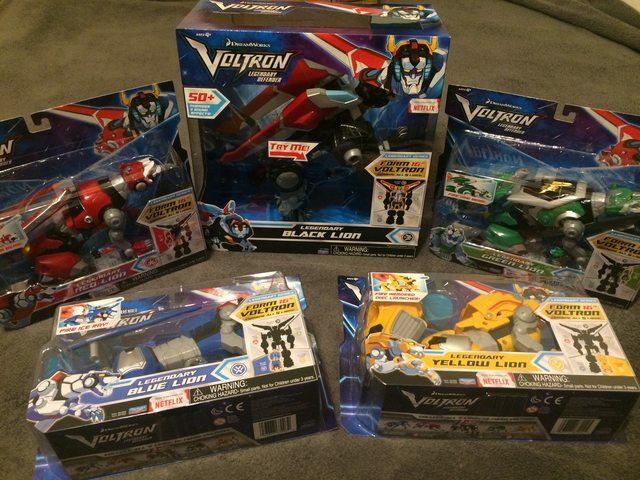 Thought I was done with Voltron when I sold my childhood set but it seems maybe not. I've given into temptation and ordered the set via TheLittleToyCompany. Bout the same price as a CW combiner. I can dig that. Thanks to Chileno20 who unknowingly brought the preorder to my attention. I hope I can get the diecast version when its released. Probably should have brought this to people's attention but the Voltron stuff was confirmed for November at the Australia Toy Fair. Ugh. I saw them on the website ("new" but "not available") on the weekend and asked at Majura Park. They said they were "in transit" but it might be a month before they arrived. MP and Belco are each getting only two sets in their initial shipments. Website shows only black lion in stock currently.